Well, as first rounds of competitions go, that was somewhat disappointing. In 32 ties, all but one went exactly as I'd expect — and the only one that didn't, The 100's "Pandora's Box" losing on day eight, was no more than a 2.5 on the Richter scale. Only once before, in 2015, have all eight seeds progressed to the second round. For the past two iterations, two of the top eight went out in the first round — becoming the joint most in the competition's history. Some surprises along the way over the next few days would be fantastic. 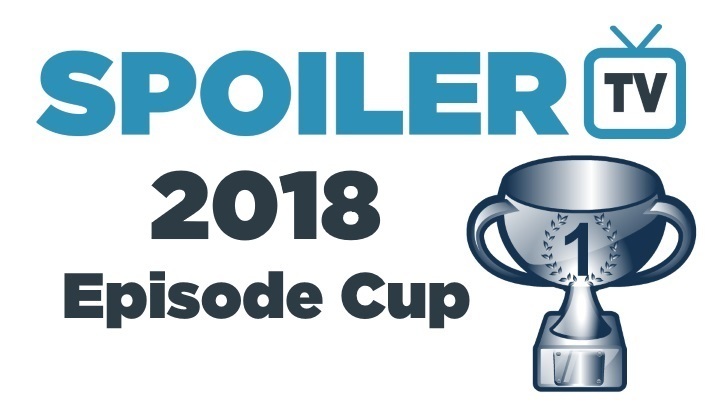 As mentioned, the top eight went through and while we lost some notable potential contenders — Grey's Anatomy, Once Upon a Time's series finale (which got just 5.4% — FIVE POINT FOUR PERCENT — of the vote against Outlander's "Of Lost Things"), both episodes of Stranger Things, Gotham, 13 Reasons Why, and episodes from Westworld, Riverdale, and Arrow. Riverdale's one defeat came against Outlander, picking up just 8% of the vote. Suffice it to say, both it and Once's defeat are the two widest margins the competition has ever seen. Anyway, enough of that. Back to the second round. 1. Four episodes go head to head for 24 hours, going live and closing at 12pm ET each day. The episode that emerges as the winner of each poll will go through to the next round. 2. Vote for your favourite episode, and tell us what you voted for. 3. Tell others about the competition! Social media is your best friend in this competition if you want your favourite episode to win. 4. Be respectful. This is a competition, but be friendly. Let's not have any abuse directed at any person, fandom or show, as we've had on occasion in the past. We have what is almost certainly the most potentially exciting tie so far. Shadowhunters' "Erchomai" is a real contender to win the competition but it would be foolish to ever write off Supernatural, even if its popularity around here is not quite what it once was. "Scoobynatural" is in action today. It's then an all-CW affair as a pair of episodes from last month go head-to-head: The 100's "Sleeping Giants" and The Originals' "What, Will, I, Have, Left". Game of Thrones is up next in a battle between two of the biggest properties on the planet, with its seventh season finale taking on Marvel's Agents of SHIELD's "The Devil Complex". And we end with Shadowhunters' second episode of the day, as "The Powers That Be" faces The Librarians' "And the Trial of the One". It must be said that The Librarians is such an impressive dark horse that it has probably transcended that description by now; it could very easily take this tie, which is actually more mouth-watering than today's first. Don’t forget to share the post; the more people vote, the more chance your episode has of winning! Check back tomorrow for the next set of polls from round 2!